It’s this time of the year again. Halloween time. Are you guys excited? If you are decorating your house for trick and treating I have an easy DIY crochet tutorial for you. 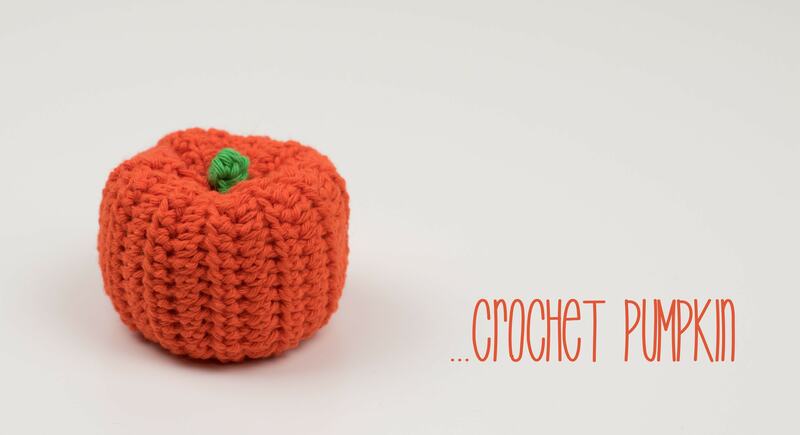 I am going to share with you a step-by-step tutorial how to create this cute little pumpkin. 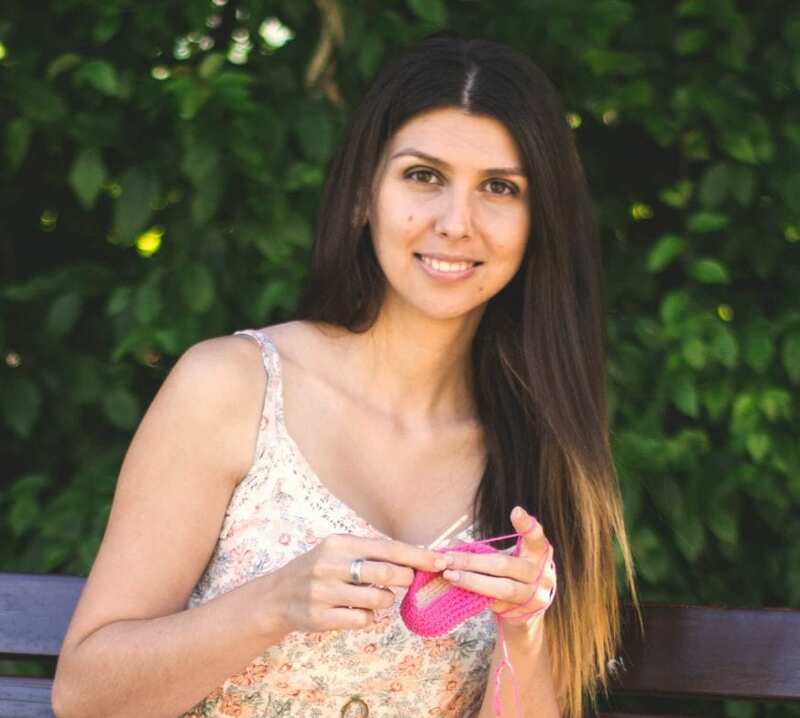 It is super easy to make and if you make more than one and attach them on a thicker strand of yarn with spaces in between, they can be a cute wall decoration too. Let’s see what you will need. 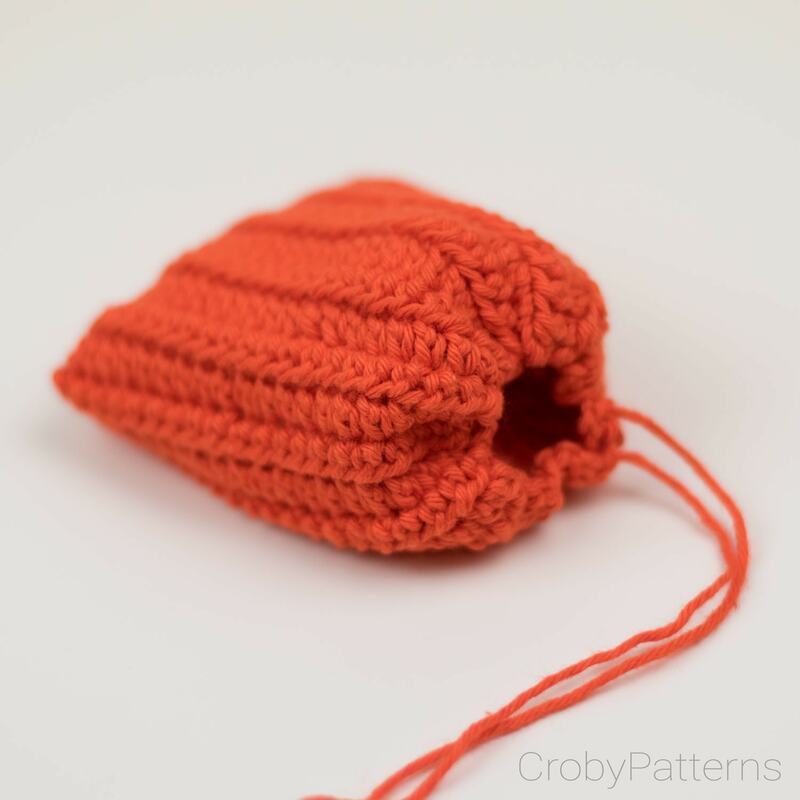 I am using 100% DK weight cotton yarn in orange and green. You can choose any color you like. Use pastel colors and little pumpkin can be your house decoration all year long. I am thinking blue or pink for the pumpkin and beige or light brown for the stem. 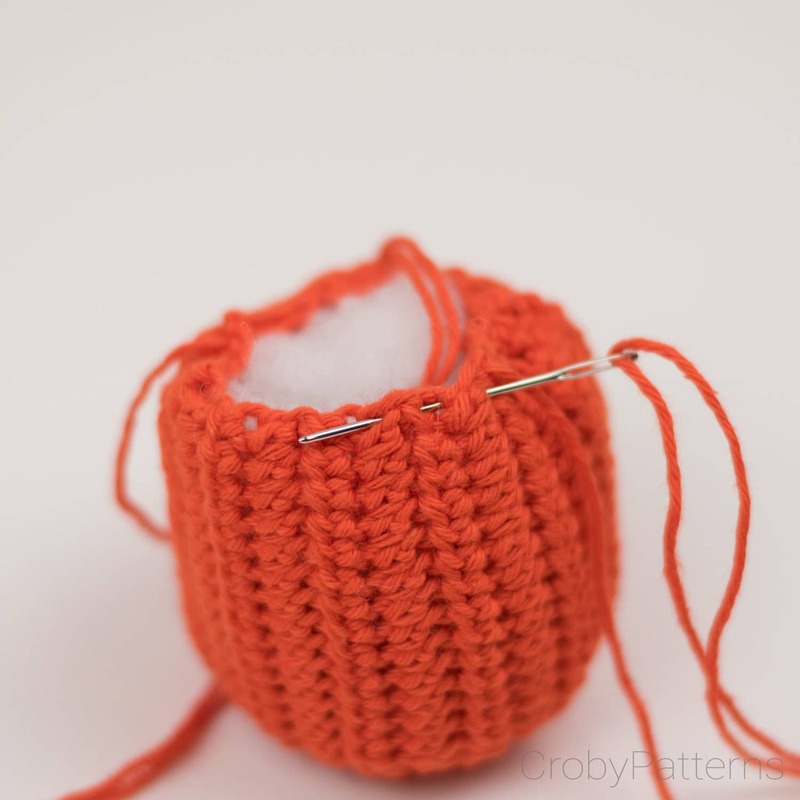 You will also need 3.25 mm or D/3 crochet hook, scissors and a yarn needle. Don’t forget on a synthetic stuffing that you will need to stuff your little pumpkin. 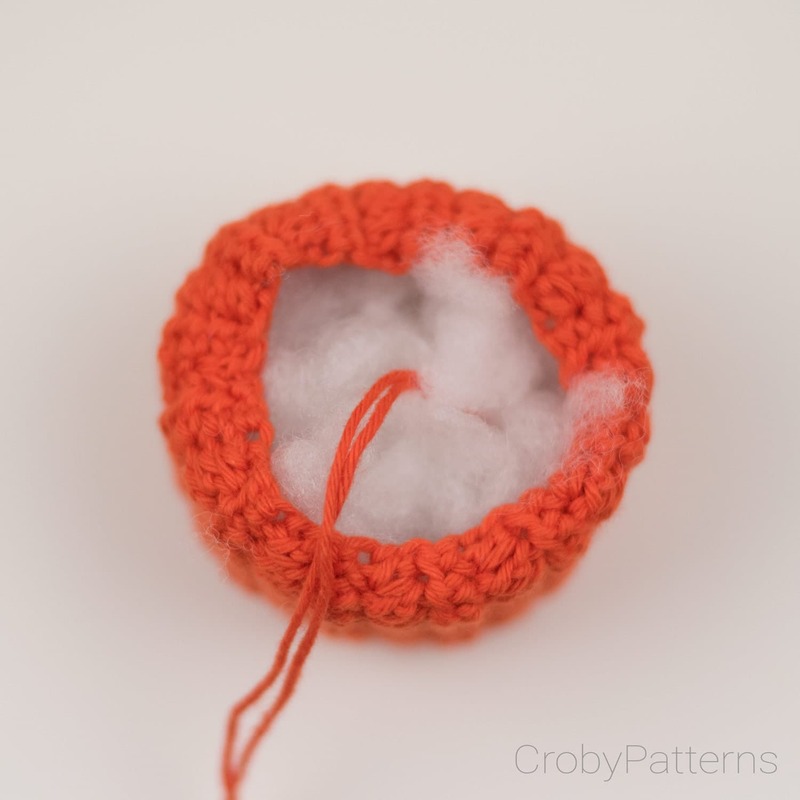 If you do not have any synthetic stuffing take some fluffy yarn that you don’t need anymore and fill your pumpkin with it. 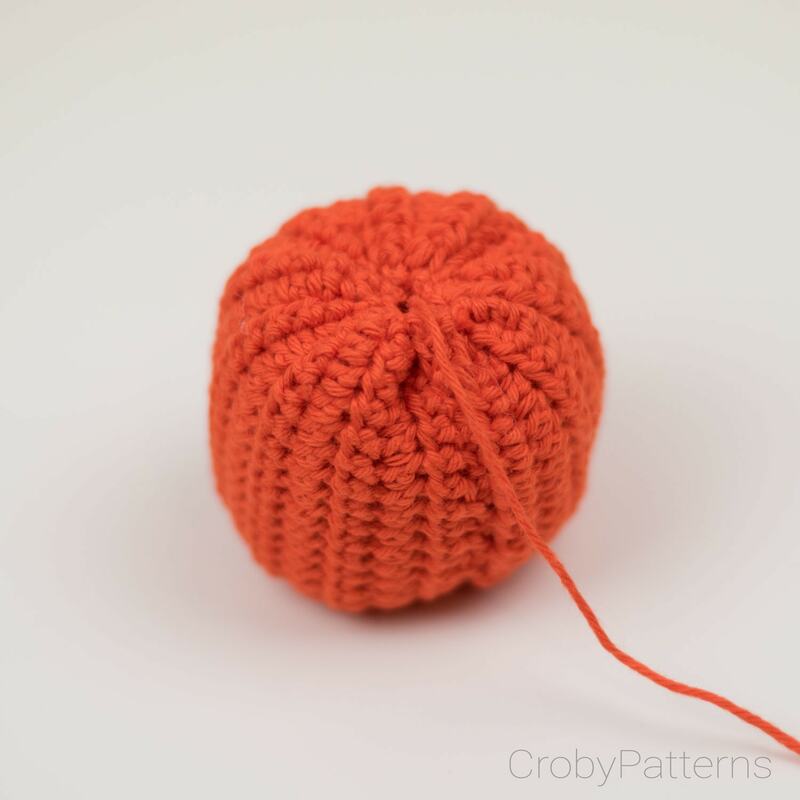 Start with an orange yarn and ch 21. 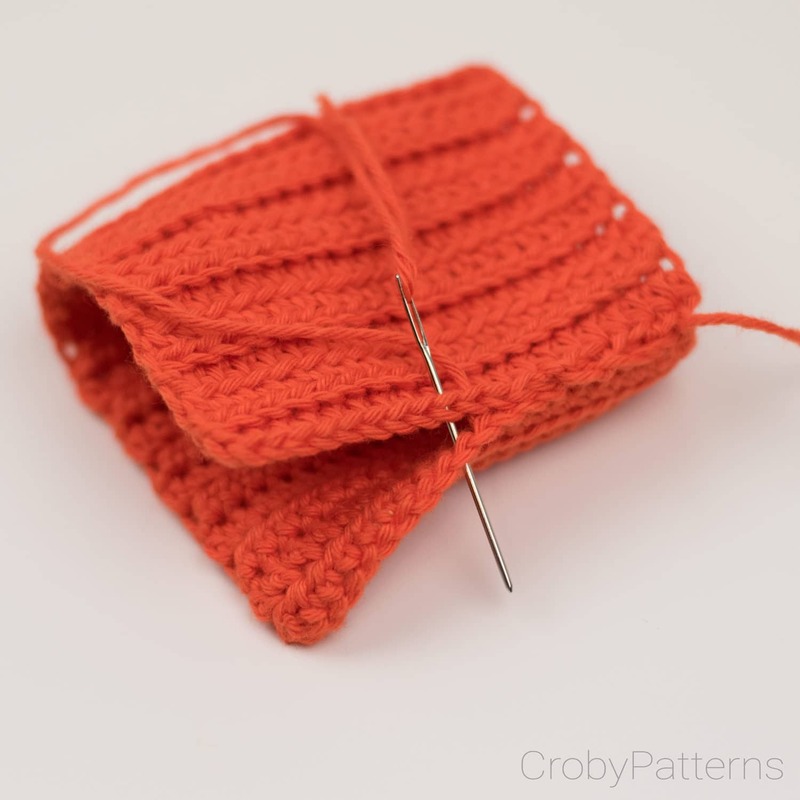 Create your first stitch into 2nd ch from the hook. Work in rows. Turn after each row. Row 1: Work 1 hdc st into next 20 sts. Ch 1 Turn. Row 2 – 22: Work into back loops only. 1 hdc into next 20 sts. Ch 1. Turn. Row 23: Work into back loops only. 1 hdc into next 20 sts. Fasten off and weave all the ends. Leave long tail for sewing. 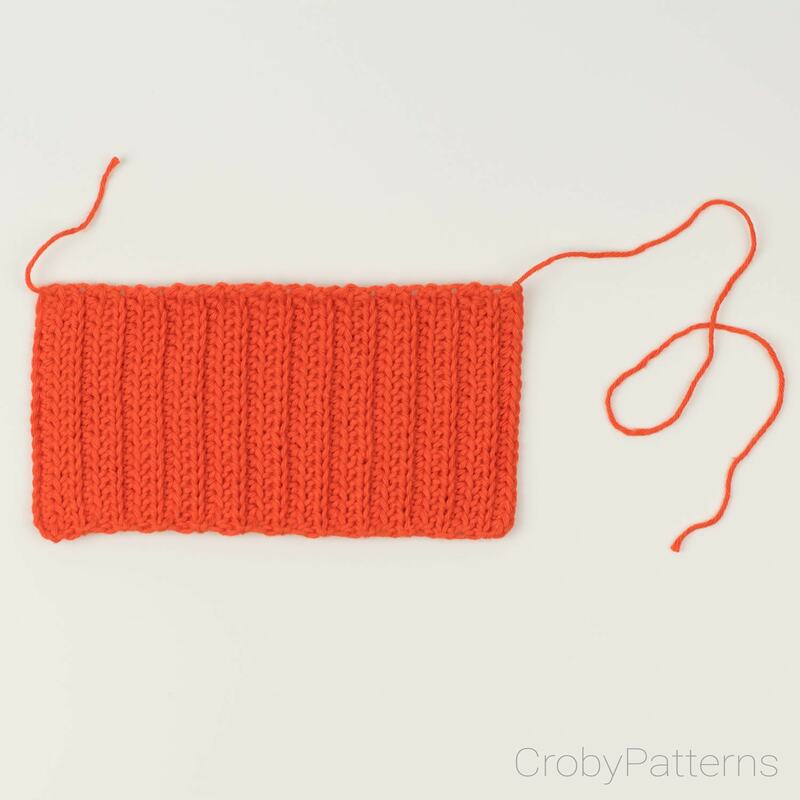 *If you would like to have a bigger pumpkin, create a longer foundation chain and add some additional rows. Don’t forget to work into back loops only. It will give you this ribbed effect that pumpkins have. Now comes the sewing part. 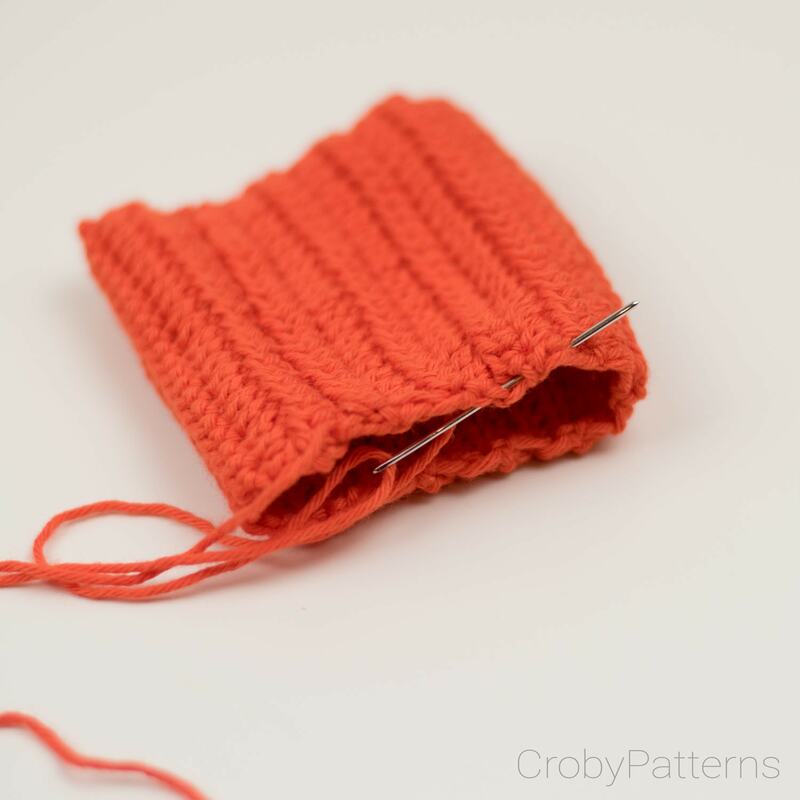 Prepare your yarn needle, thread it and sew foundation ch and row 22 together. Go in and out with the needle around the opening as seen in the picture. Make a half of a knot. and pull both sides of the yarn. Minimize the hole and make a nice solid knot. Pull the tails that left through the hole on the other side. Start stuffing the pumpkin around the tails. Now take some yarn and a needle and go in and out around this second opening like you did around the first. Make half of the knot and pull both tails. When you manage to hide the hole, make a nice and strong knot. Cut all the tales. Pumpkin shape is not perfect. It is flattened at the poles. 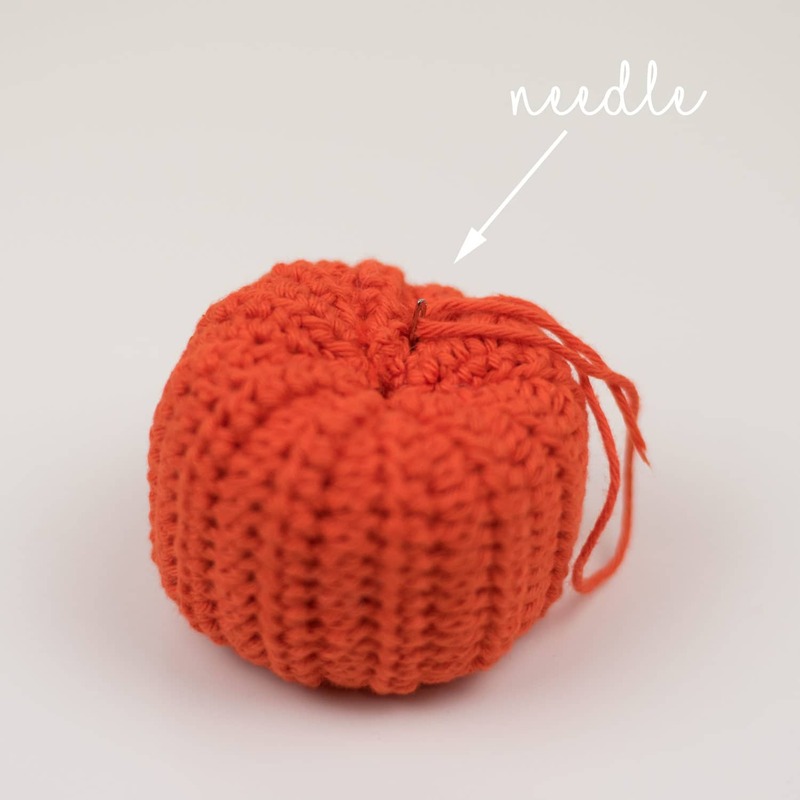 Thread the needle with one of the tails from the middle and go with it through the pumpkin. 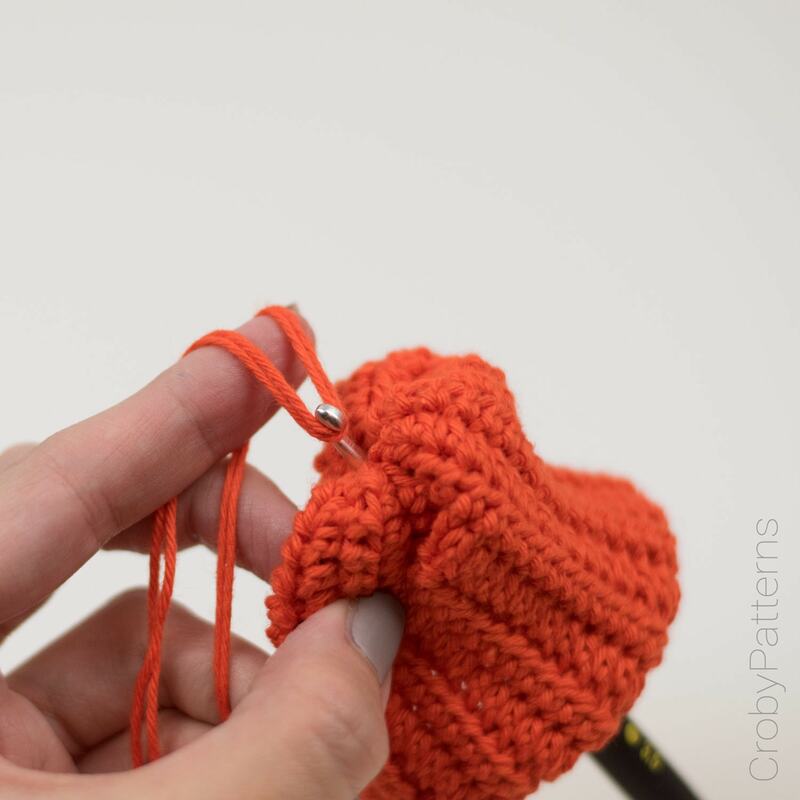 When you are on the other side lightly pull the yarn and go through the middle again. The middle will bend a bit and you will achieve this flattening effect. You are almost done. All you need now is a small stem on the top of your pumpkin. Take a green yarn and ch 4. Start in the 2nd ch from your hook and work 1 Hdc into next 3 chains. Roll it together. 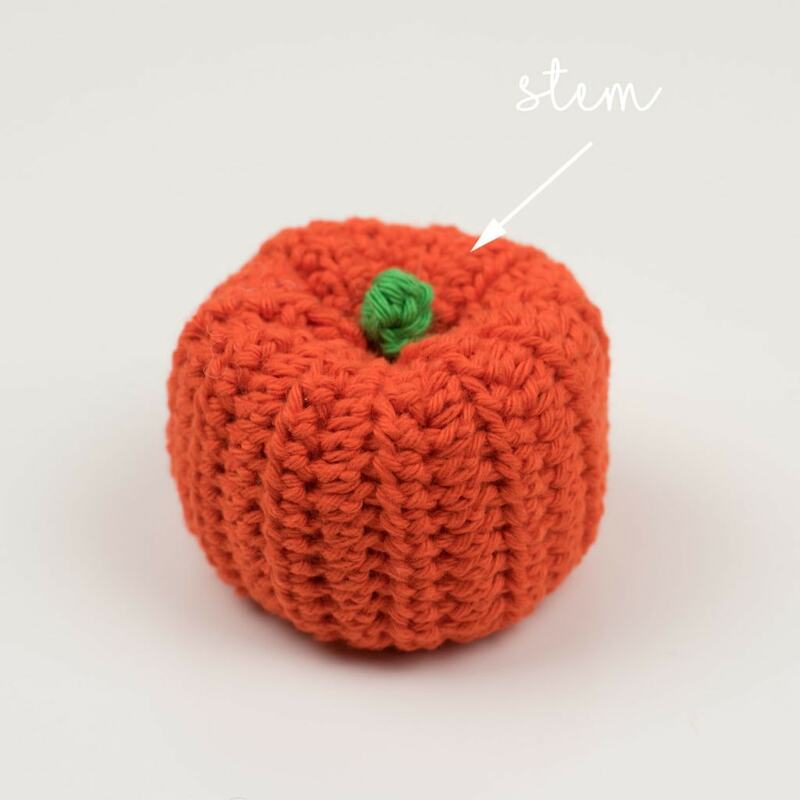 You can use a glue or leave long tail for sewing and glue or sew your stem on the pumpkin. If your pumpkin is not meant as a toy I would recommend you to use a glue. It’s much easier and much faster way to achieve more or less same result. And here you have it. Your cute little pumpkin decoration. 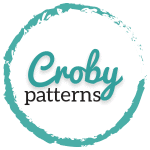 Please share your creations with me using #crobypattern on Facebook or Instagram or send your picture to me via email. Stay creative and until next week!